Join the United States Tennis Association as they host tennis on Belle Isle! Each week there will be an hour of drills and an hour of game-play. All levels are welcome. 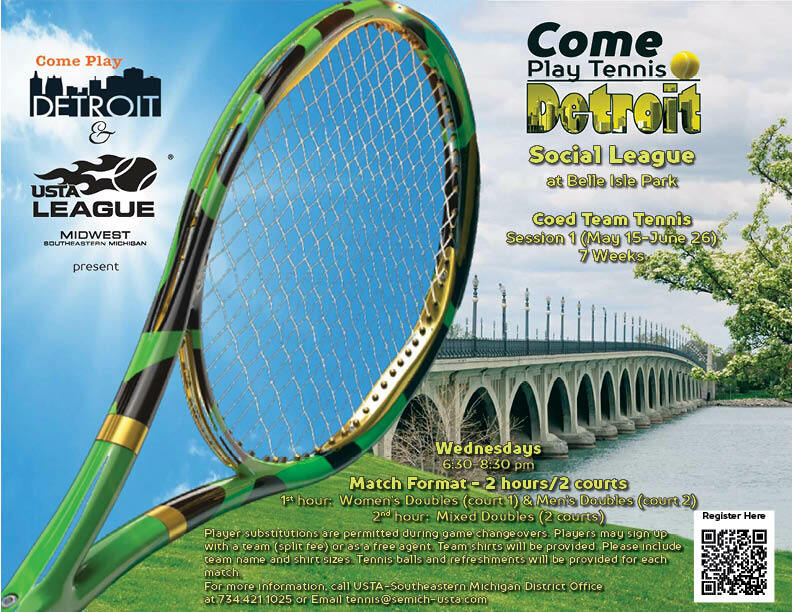 Check out this Tennis league 'Drill & Play Co-ed Tennis 2019- Session 1' with www.comeplaydetroit.com!